Two members of the Rosemount High School Speech Team have qualified for the state speech tournament. Senior Alexis Johnson will compete in drama, and junior Olivia Betters will compete in poetry. 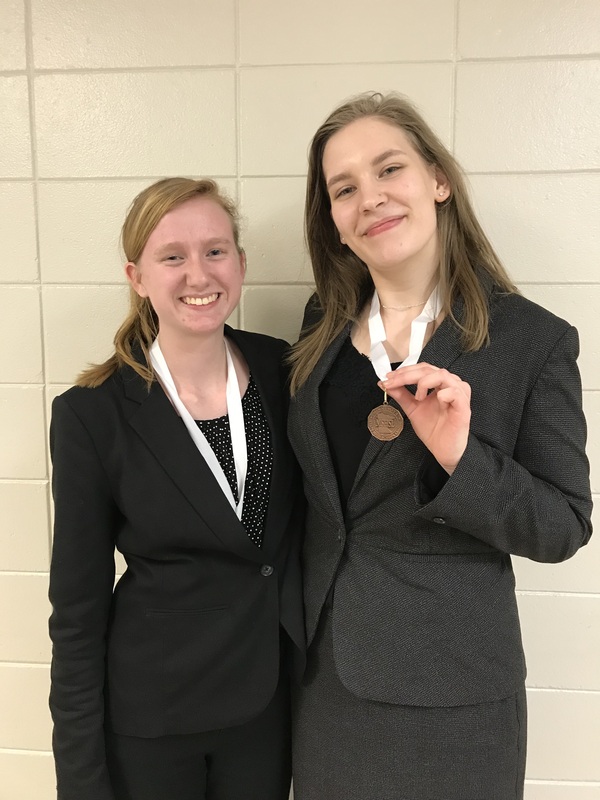 Both qualified for the state meet by finishing third in their categories at the Section 3AA speech tournament on March 20. The state tournament is on April 13 at Wayzata High School. Johnson is doing an excerpt from the play Ann by Holland Taylor. It tells the story of Ann Richards, the late Governor of Texas. Betters is performing a program of poetry selections reflecting on how people address feelings of loneliness in their lives through developing relationships. In addition to Johnson and Betters, six other Rosemount team members participated in the final round at the section tournament, finishing in the top seven in their category. 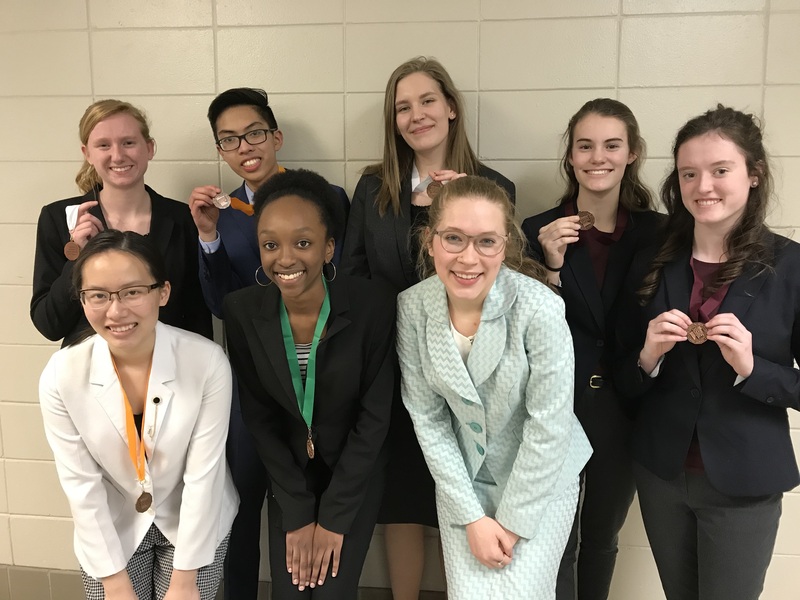 Michelle Quan finished fourth in extemporaneous speaking, AJ Tabura finished fourth in oratory, Lauren Sanday finished fifth in poetry, Cora Theis and Emma Greenfield finished sixth in duo, and Hannah Beumer finished seventh in prose.